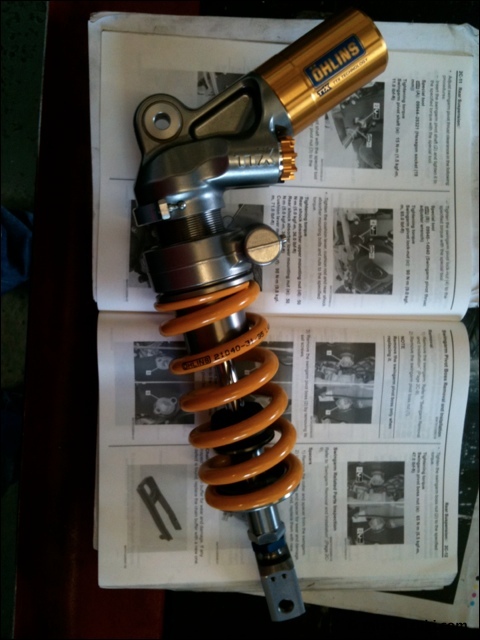 The biggest challenge when building SuperBike is getting all the new pieces to work well together. Nothing is ever easy, whether it is a small bracket to mount a wheel speed sensor or something major such as a new fuel tank, swing arm or even the wiring loom. 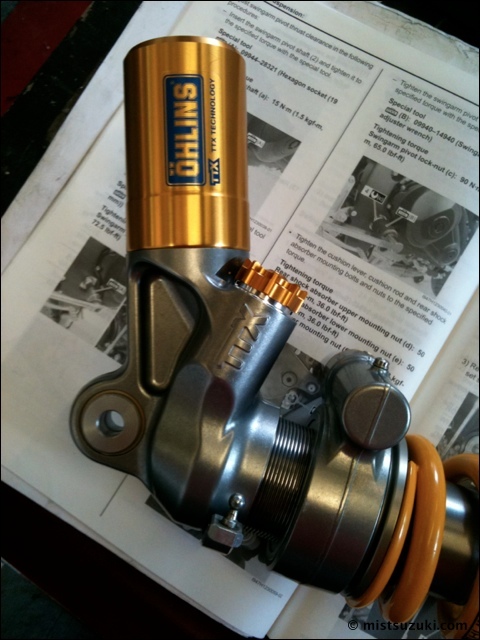 The new shock is a special Ohlins item made specifically for SuperBike use with factory suspension linkages. Of course, it is longer and the reservoir cylinder is facing away to give more clearance. That’s fine except is hits the bottom of the standard subframe but we were planning on changing that anyway. When we get the new tank we will have to change the top mount to fix the clearance problems. For the moment we have a narrower top mount but we need a longer clevis anyway. 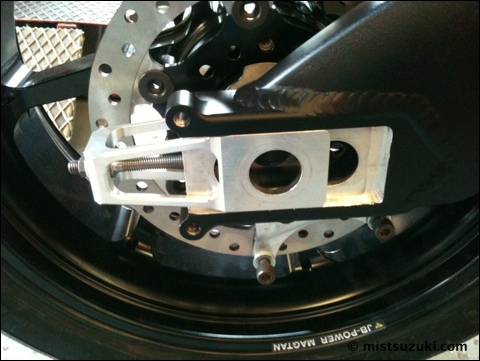 The bottom fitment is also non-standard to work with the new linkage. 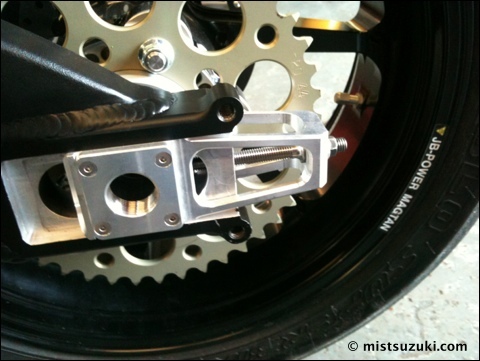 The actual linkage is reversed compared to normal and although we are using a standard swing arm for the moment it has been modified to have quick release wheels and the linkage mount has also been modified. 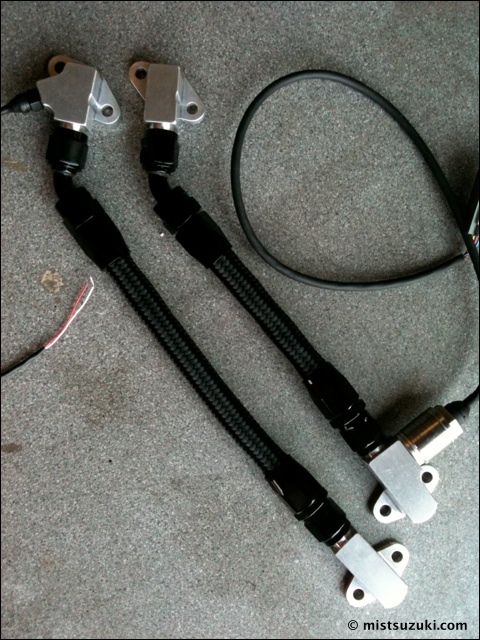 This gives us an option of a variety of mounting brackets that can be bolted on. The axle mounts and adjusters have simply been cut off and new blocks welded in. This allows us to run a longer wheelbases than with the stock swing arm but also has some other benefits. Here you can see the adjuster block with one of the other secrets. The wheels have captive spacers and the blocks have small supports underneath so you can just drop the wheel in to place and it is held without the axle. 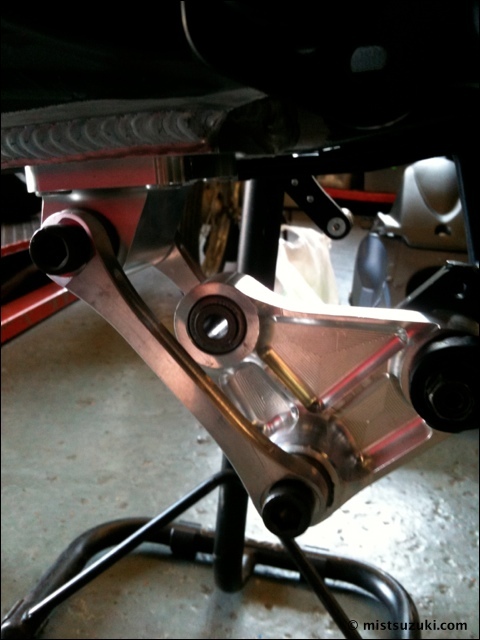 In fact, it is totally self supporting and the axle can just be slid through with one hand when required. More little ‘nice to haves’. 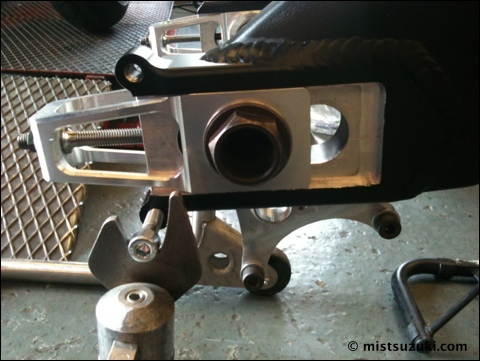 There are the bespoke oil cooler brackets. They bolt on as usual but have lightweight HEL oil lines between them. You can also see the oil pressure sensor mounted on one block and the oil temperature sensor on the other.